The Beginning. Who is Prince H.? 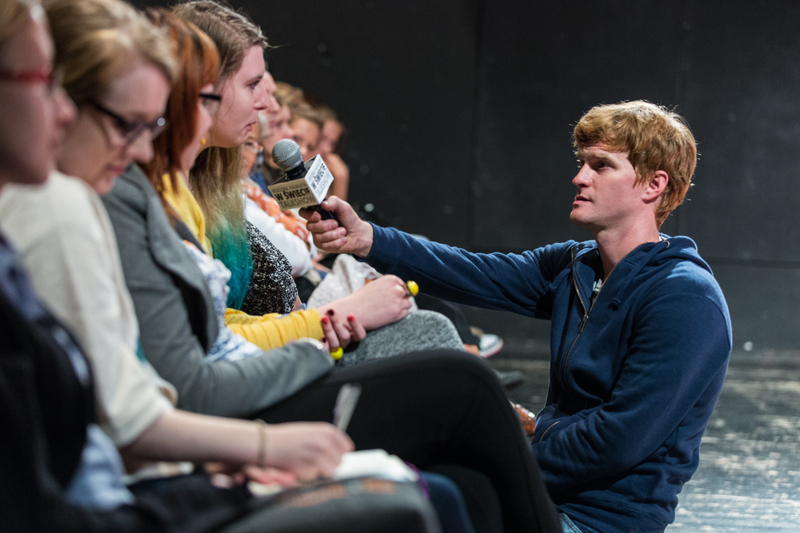 Prince H.Universe is a one-man talk show in which the young host Prince H. discusses the universal everyday dilemmas facing teenagers today – told through his own life and through the contributions of his audience. Stories about family break-ups. About the death of a loved one. About sexuality. About the consequences of bullying on Facebook. And about body image, plastic surgery and the right to be yourself while still respecting the group. As the host of the show, Prince H. takes the lead and creates an interactive reflective space with room for everyone. On his journey, he is confronts his own doubts – right or left – and asks the audience’s advice with great authenticity. During this meeting – one-to-one – vital and inclusive conversations with young people arise about strong feelings, feelings that may be both difficult to tackle and put into words on a busy school day. 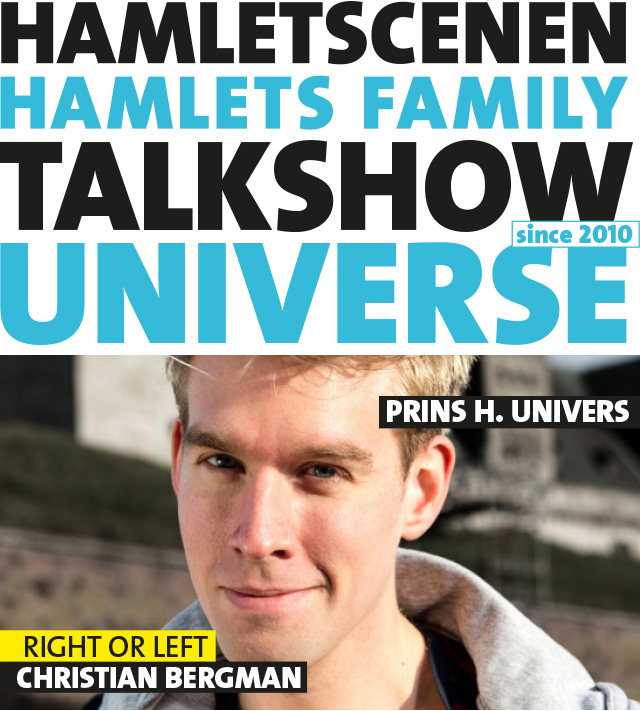 Danish actor Christian Bergman as Prince H.
Prince H. Universe was devised and directed in 2010 by Lars Romann Engel – Artistic Director of Hamletscenen in Elsinore. 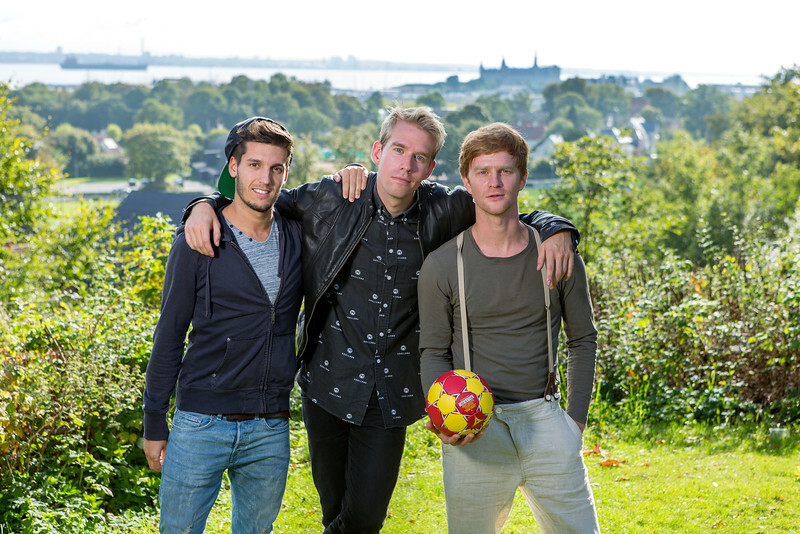 Since then the Danish version of the show has been successfully performed in over 300 schools in Denmark. After that Prince H. decided to travel the world. 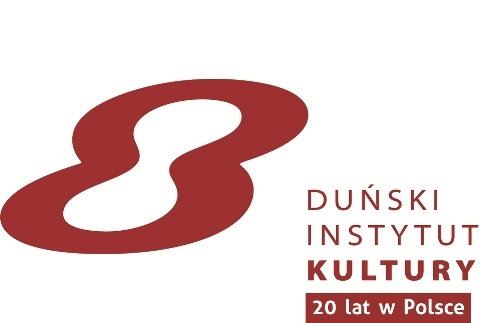 In September 2014 in cooperation with European Shakespeare Festivals Network and with a support of the Polish Ministry of Culture and National Heritage and Danish Cultural Institute, Polish actor Jakub Snochowski arrived in Elsinore to spend three weeks of intensive work on a Polish adaptation of the script, which he also rehearsed for performance. The main difficulty was not only to translate the text, but also to adapt it to a very different cultural background . At the same time Catalonian actor Alex Sanz Amat worked on his version of the play. 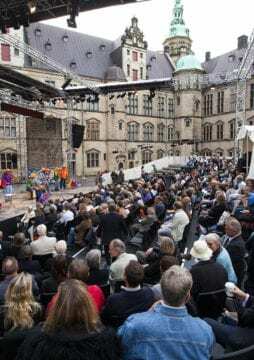 The meeting of Catalonian, Danish, and Polish Prince H. in Elsinore. On 25th and 26th September Prince H arrived in Poland where open rehearsals took place for young audiences. This was first real opportunity to gather opinions and reflexions about the project from those to whom it is addressed. The Premiere of the polish performance was given on 27th September during the 18th Gdansk Shakespeare Festival. Then, between the 29th September and the 3rd October Prince H. travelled across polish schools in the Pomerania region with 7 successful presentations of the shows to over 600 participants aged 13 to 17. Schools which participated in the project were secondary schools: Gimnazjum no 19 in Gdynia and Gimnazjum no 9 in Gdańsk and high schools: III Liceum Ogólnokształcące in Gdynia, Zespół Szkół Handlowych in Sopot, VIII Liceum Ogólnokształcące in Gdańsk, Zespół Szkół Hotelarsko-Gastronomicznych in Gdańsk and II Liceum Ogólnokształcące in Gdańsk, who posted a special report on their website. The further adventures of Prince H.
On 26th October there was a premiere of Prince H. Universe in Catalan as a part of the program of Shakespeare Festival in Barcelona. More info is here. 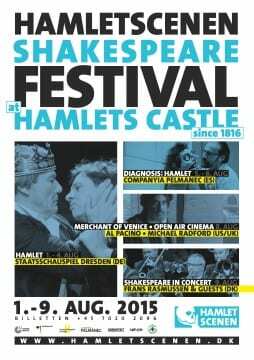 In spring of 2015 an English version of the play will be produced by York Shakespeare Festival, who is also a member of the European Shakespeare Festivals Network. As well, actors from the USA will prepare an American production. The ongoing story and progress of Prince H. will be developed with the help of schools, youth education programmes and other partners focusing on young people’s life skills and life opportunities. 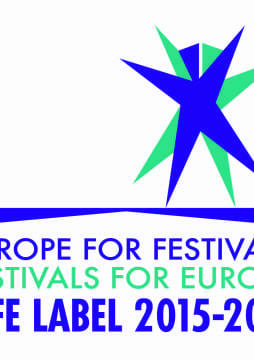 We hope that other productions will be developed by more partner festivals in the future. What makes this project even more unusual – Prince H. is a part of a larger cycle of the stories of 3 Shakespearean family members told from a modern point of view. Hamletscenen recently announced that there are two more parts to come: Queen G. Universe and King C. Universe . Maybe Queen and a King will be willing to travel across an Europe too…?